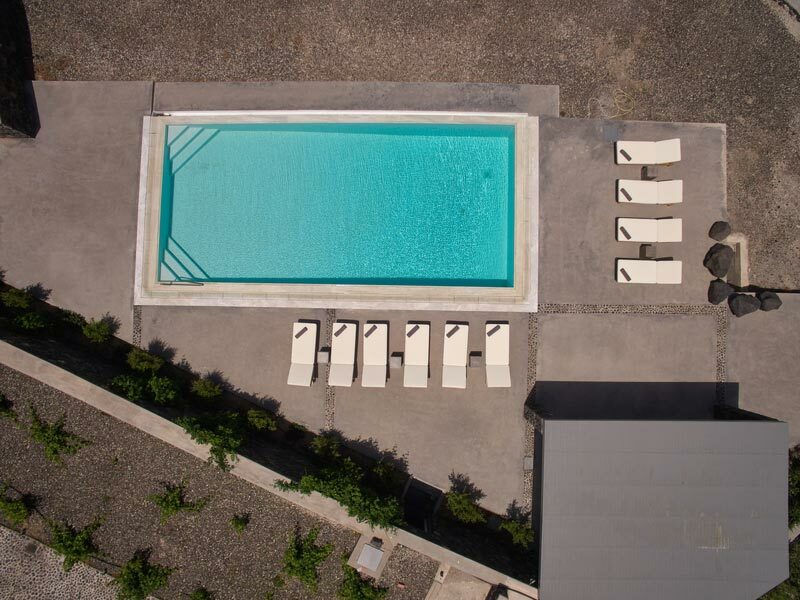 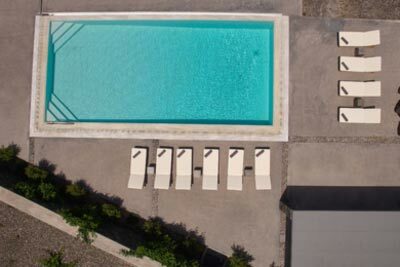 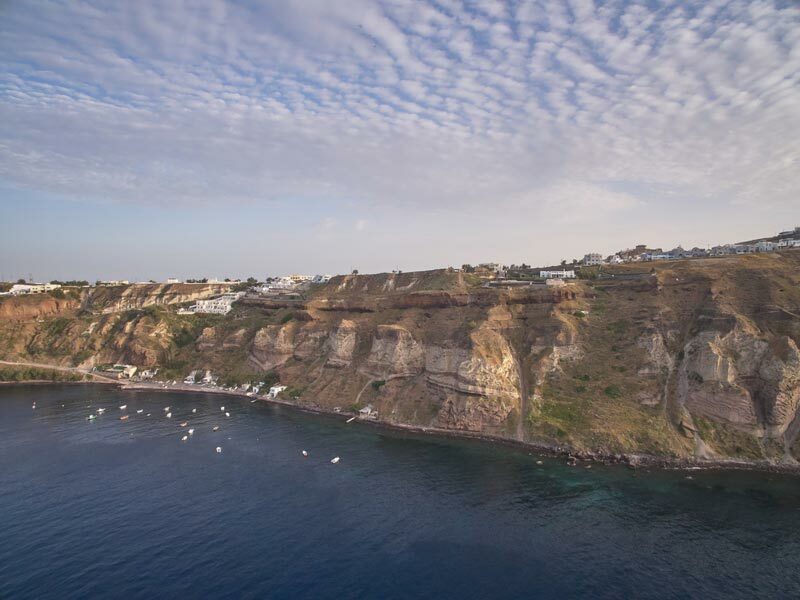 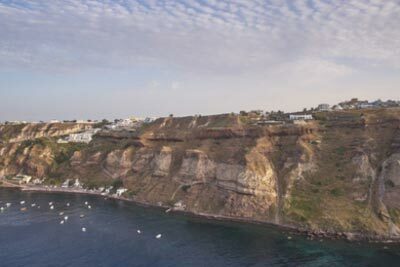 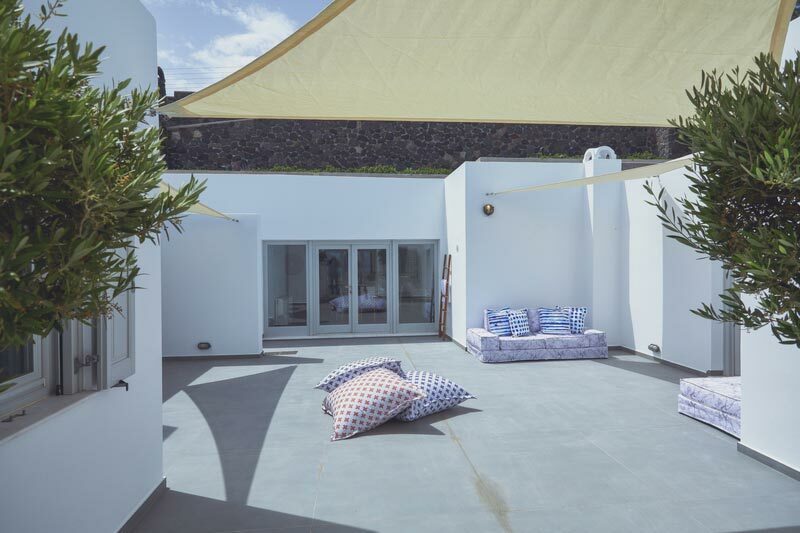 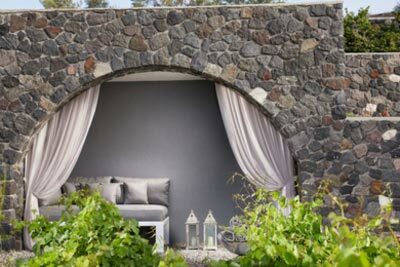 On this land, blessed by the gods, Akrotiri Private Residence is an architectural jewel perched on the hills of Akrotiri. 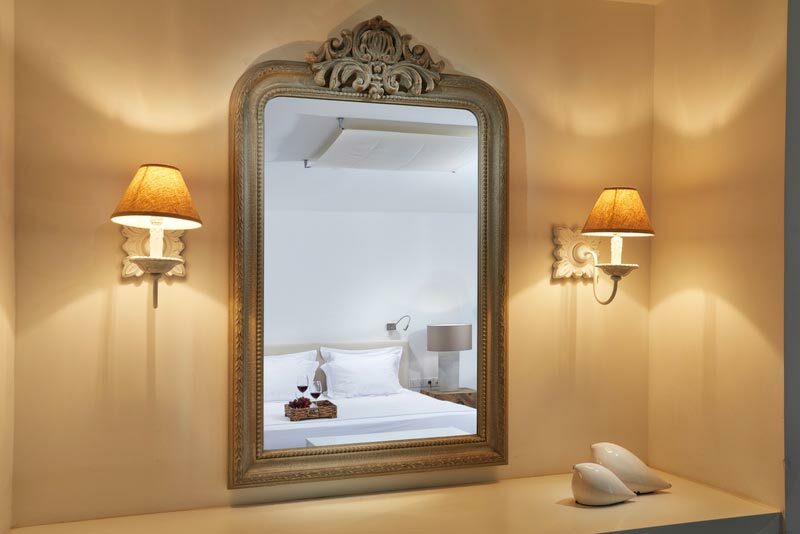 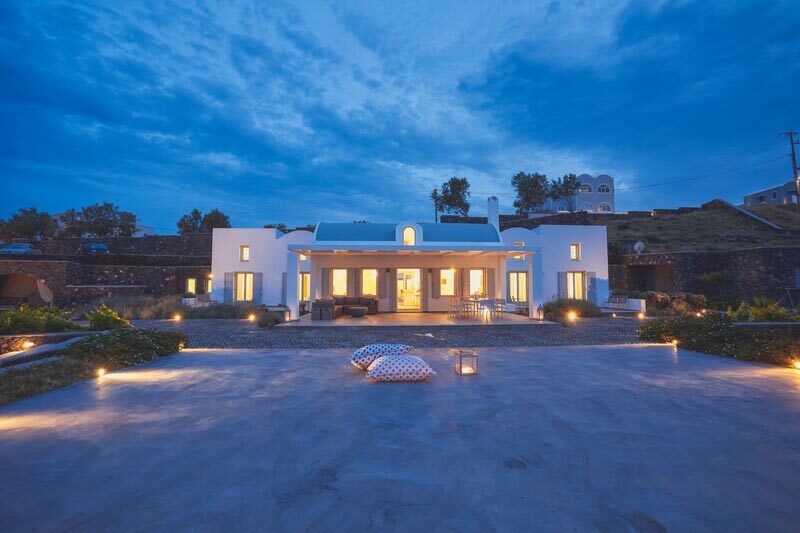 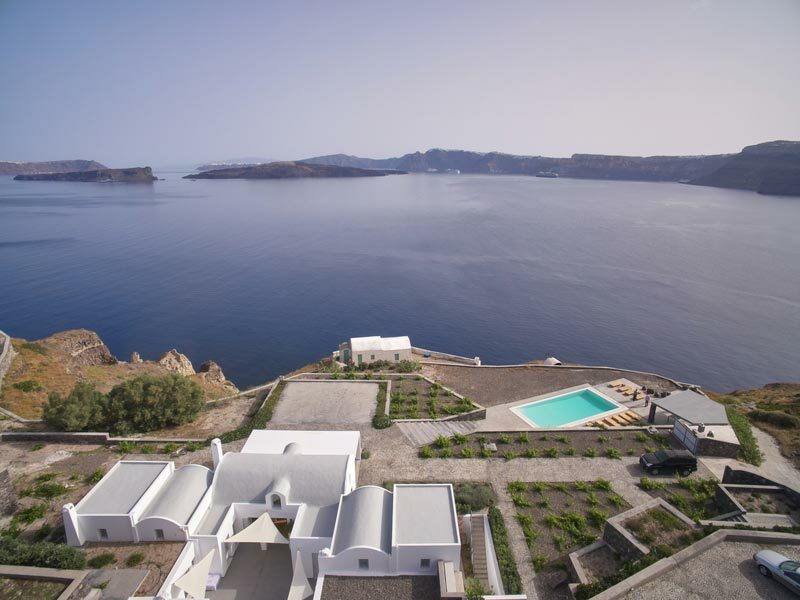 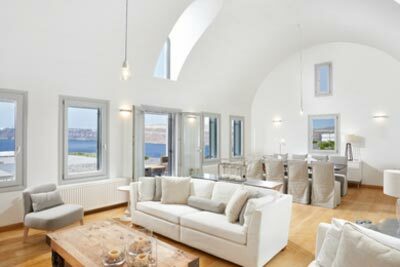 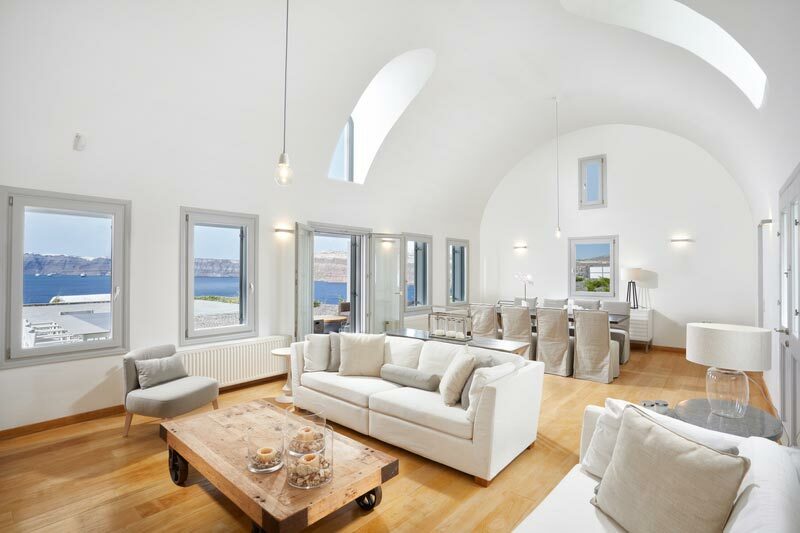 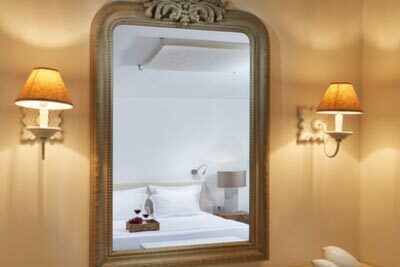 The villa’s aesthetics harmoniously combine the island’s ancient history with modern demand for luxury and comfort. 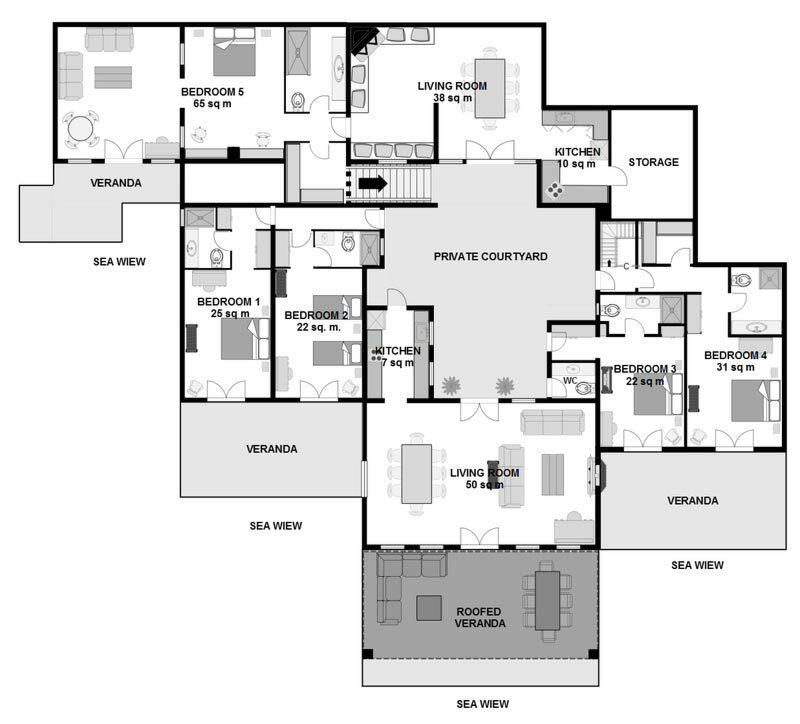 Built in an area of 2000 sq.m. 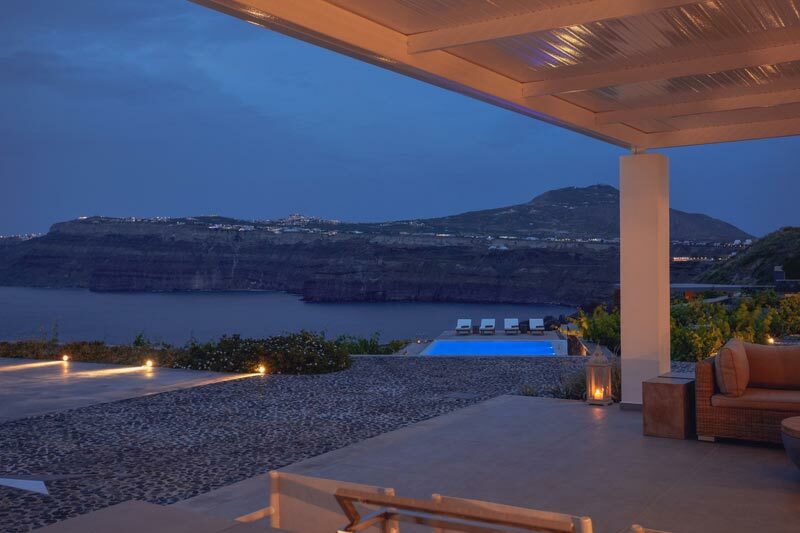 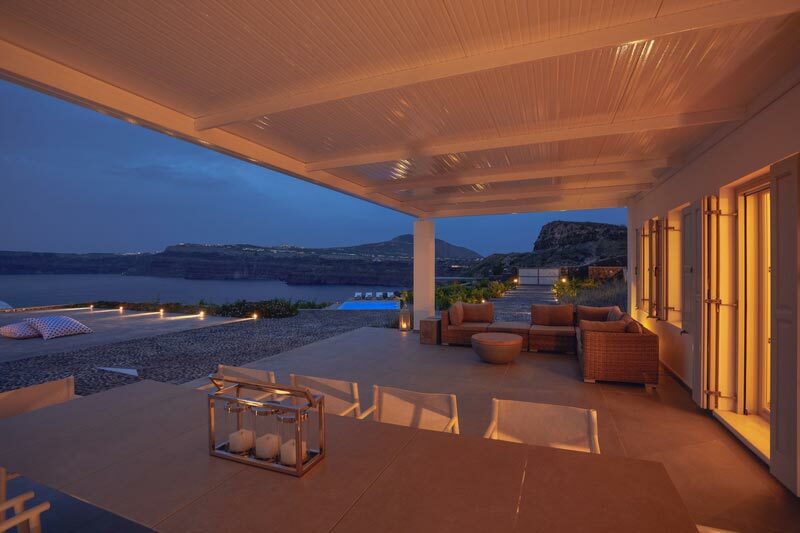 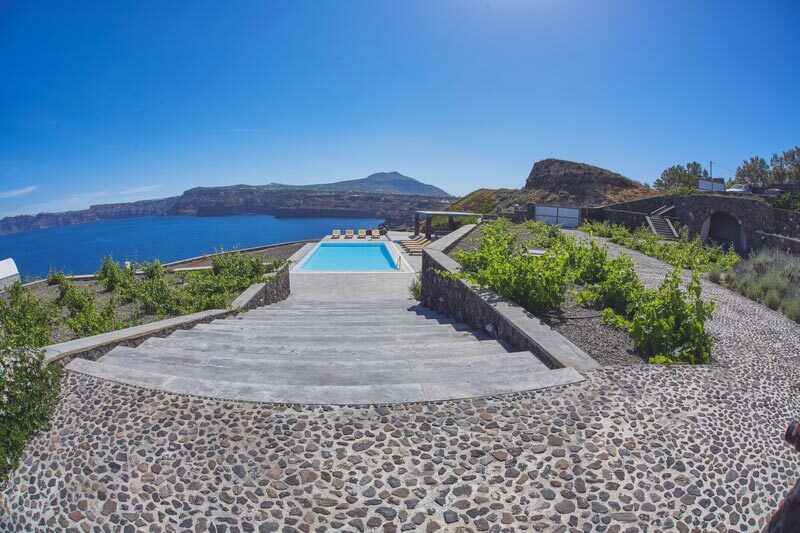 the villa imperiously gazes at the caldera area, offering its lucky guests unique views of the volcano. 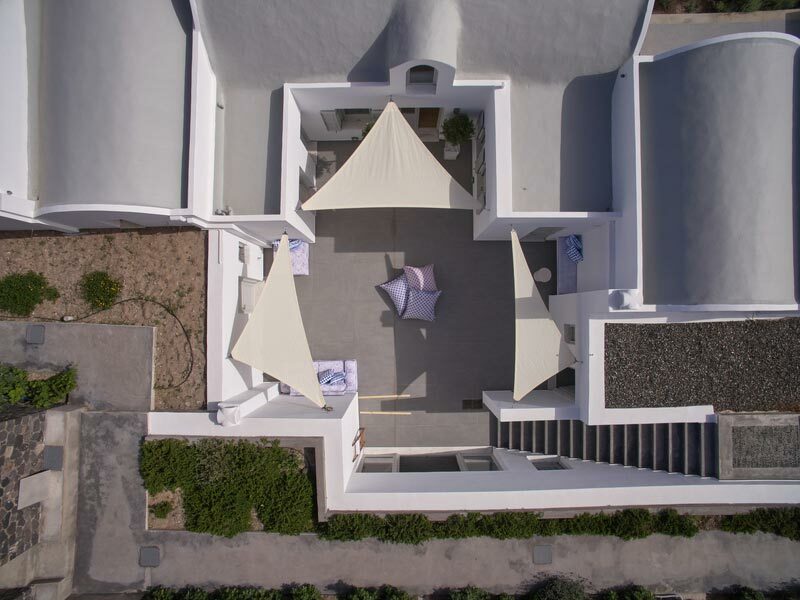 The large courtyard, smart design and incredible views also make Akrotiri an ideal choice for a memorable wedding, a wedding reception or a party. 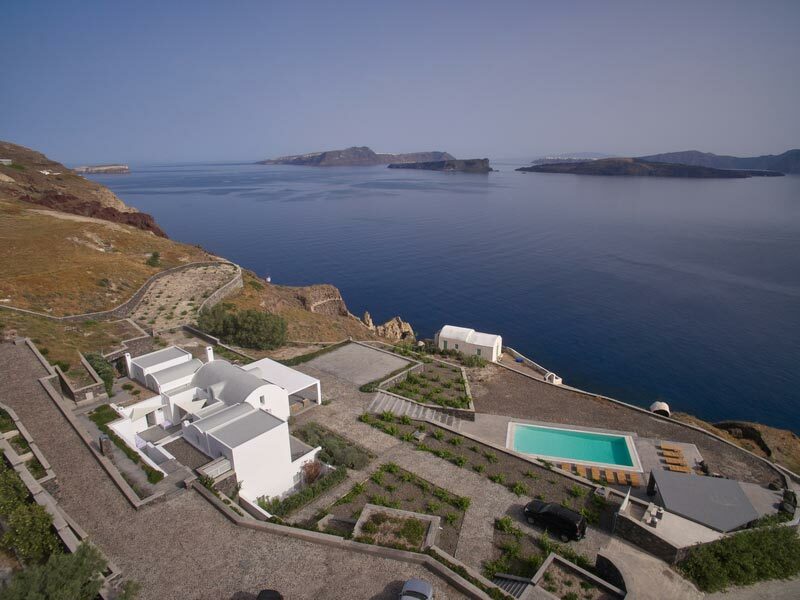 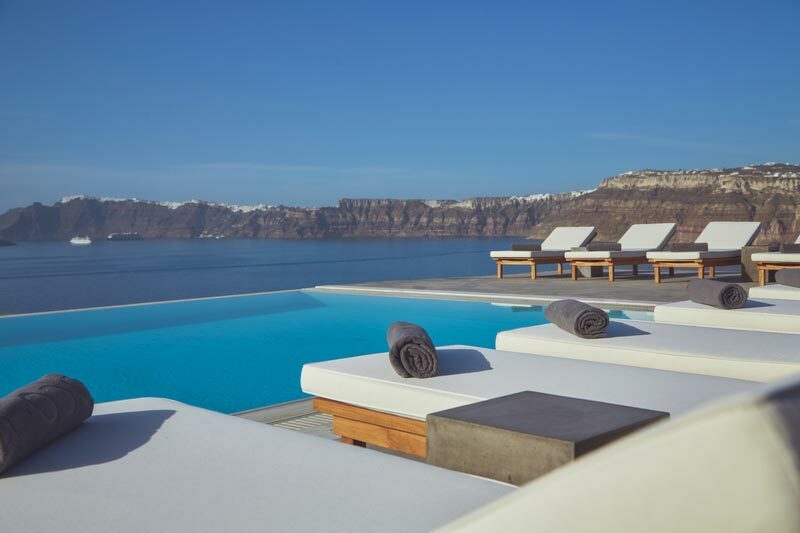 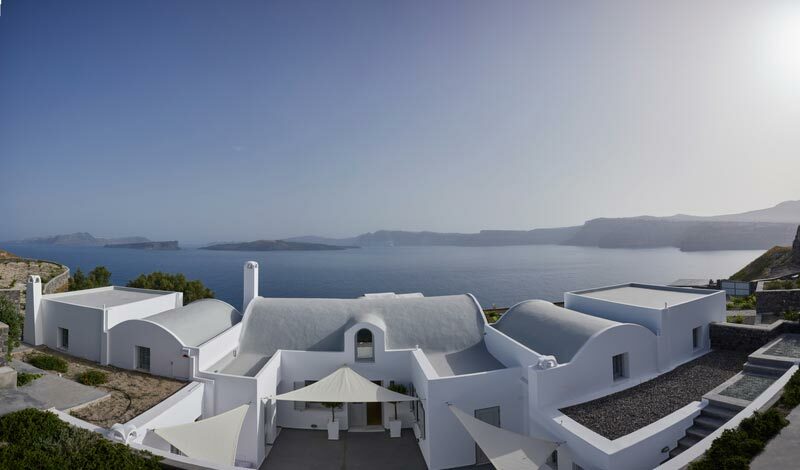 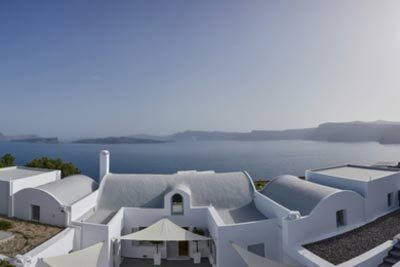 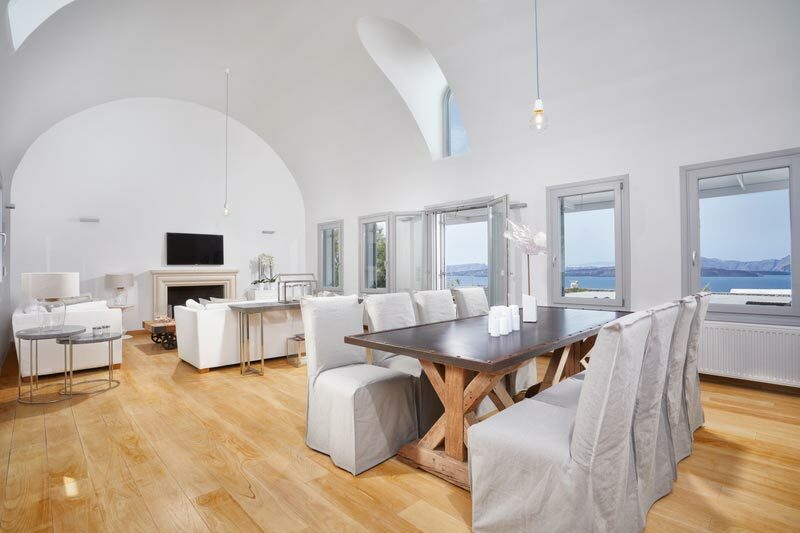 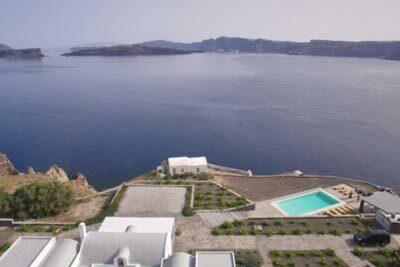 Akrotiri Private Residence is a destination as unique as the island of Santorini. 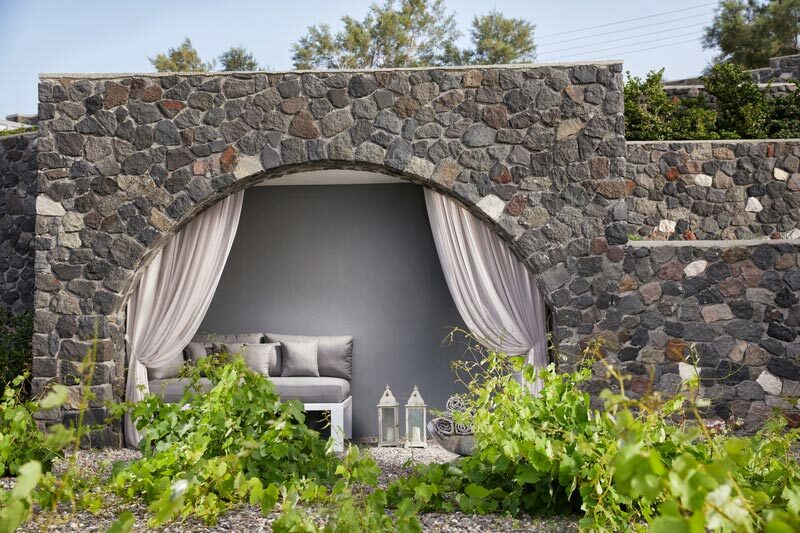 The combination of the landscape, building and services offers a magical escape from the daily grind. 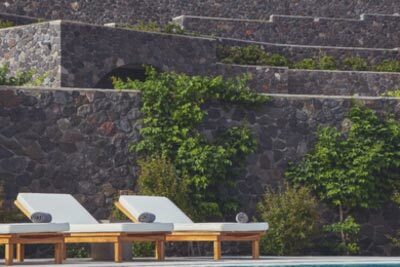 The lucky guests, who choose to stay here on their holiday or to have the wedding at the villa, will have a truly inspirational and memorable experience. 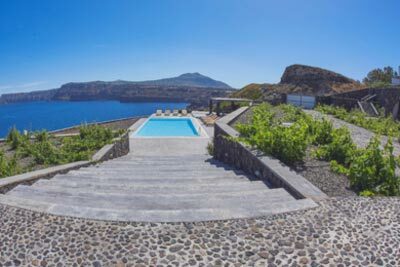 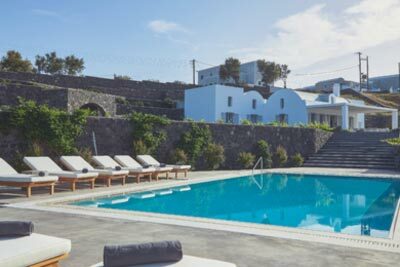 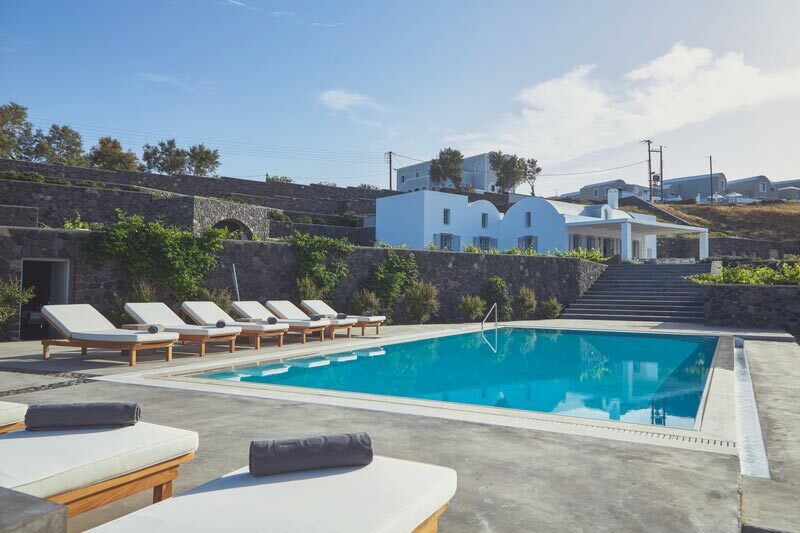 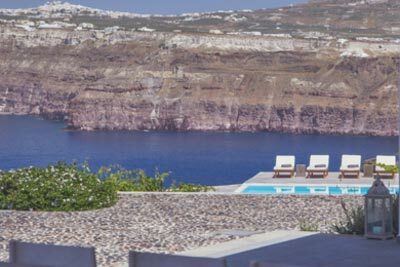 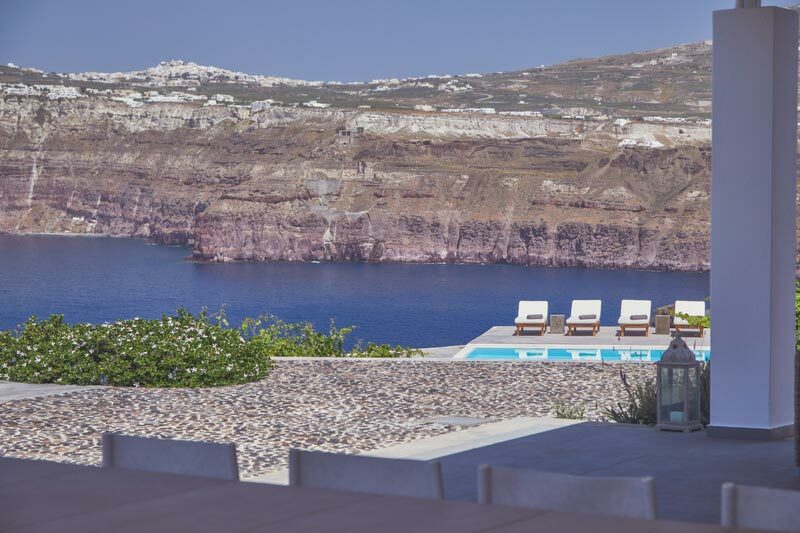 Akrotiri Private Residence is built on the caldera of the village of Akrotiri, only twelve kilometres away from Fira and just 3 kilometres from the famous red beach. 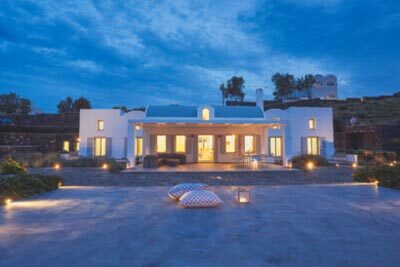 The villa is located 15 km away from the island's International Airport and 5km far from the port of Athinios. 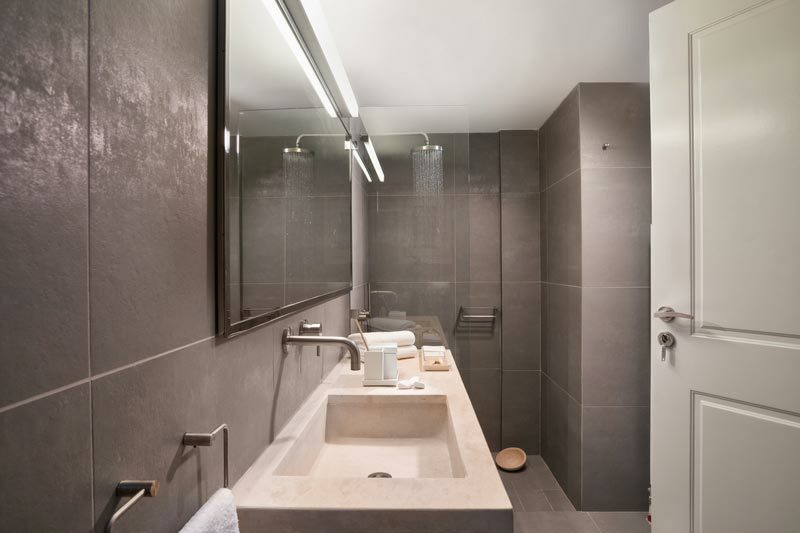 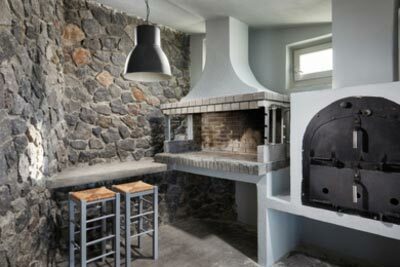 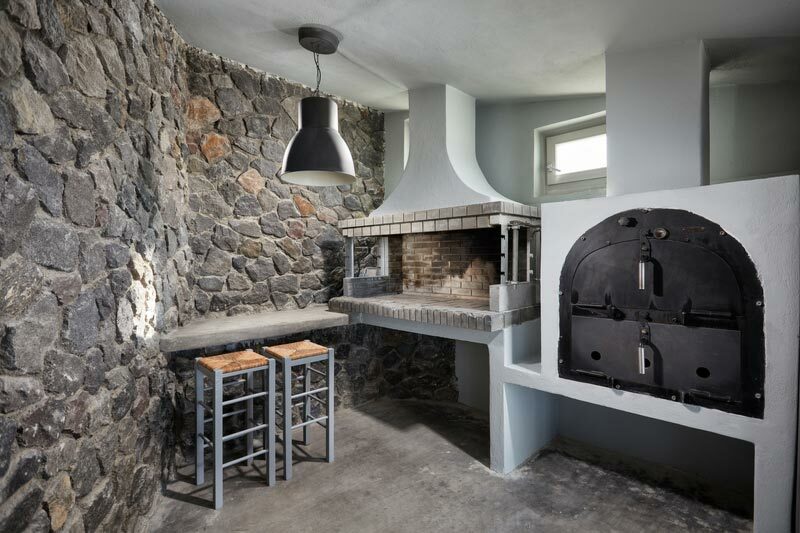 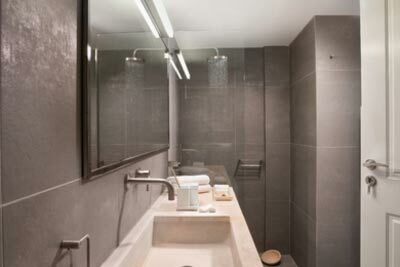 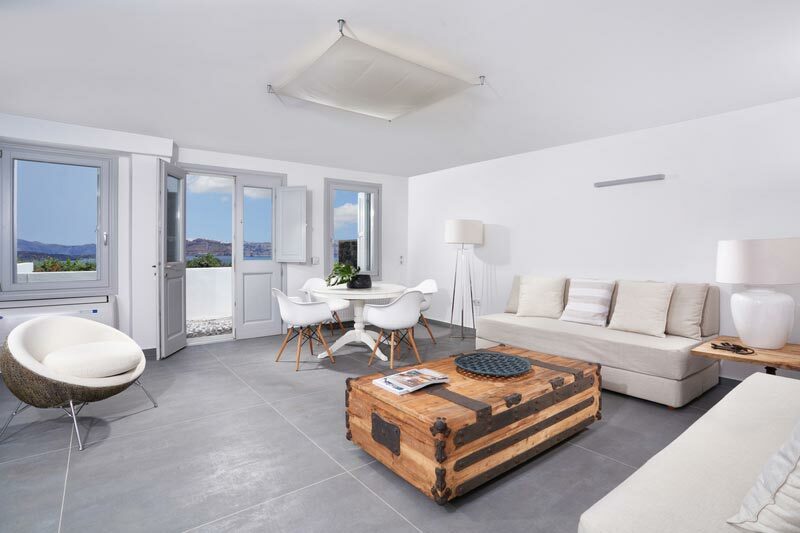 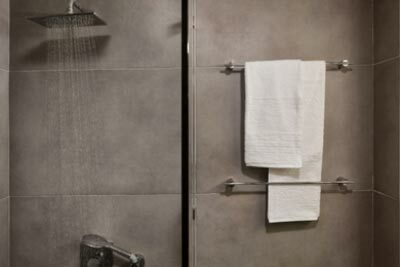 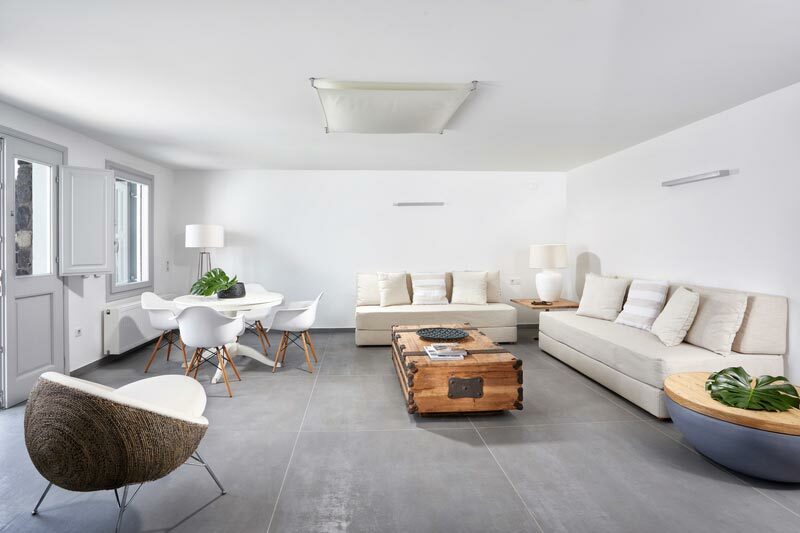 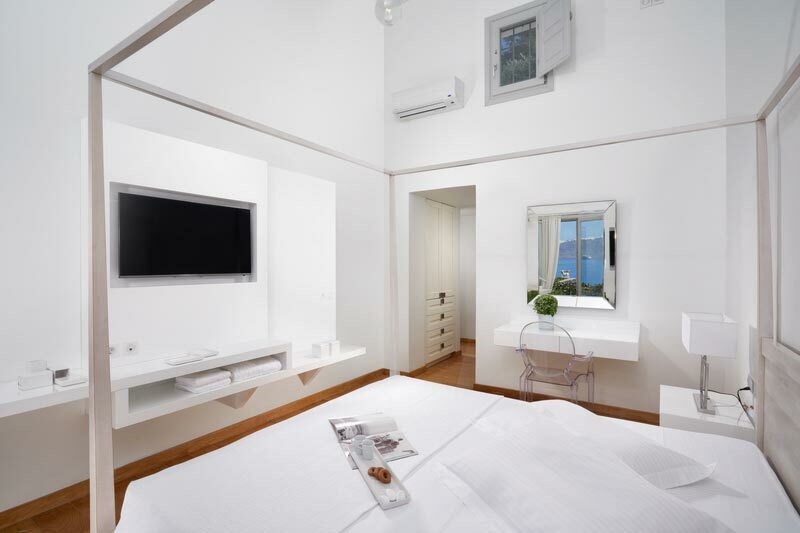 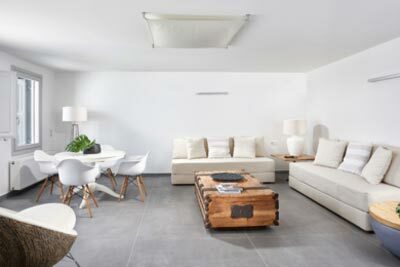 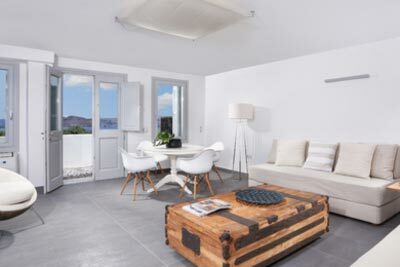 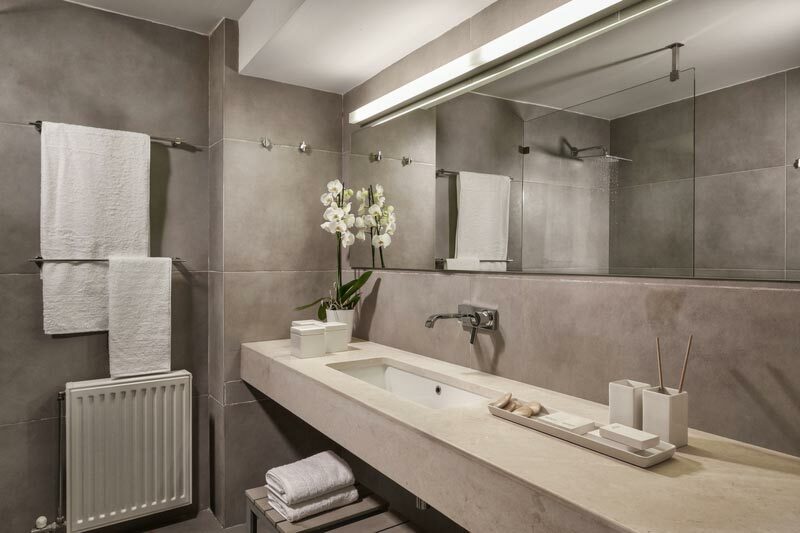 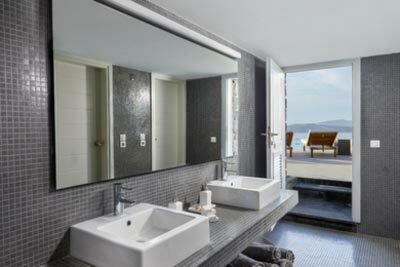 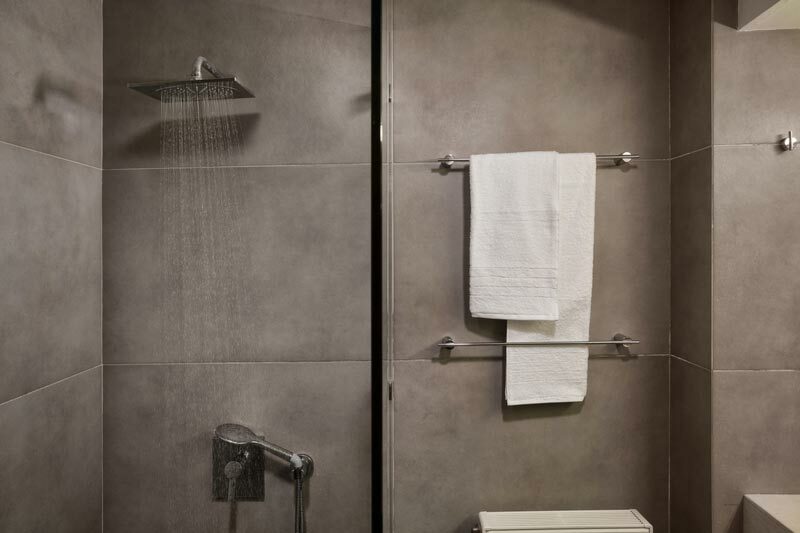 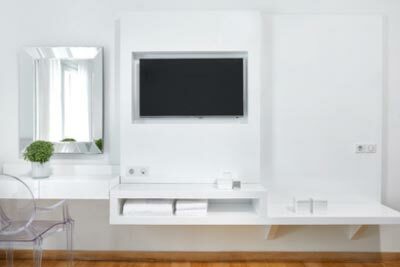 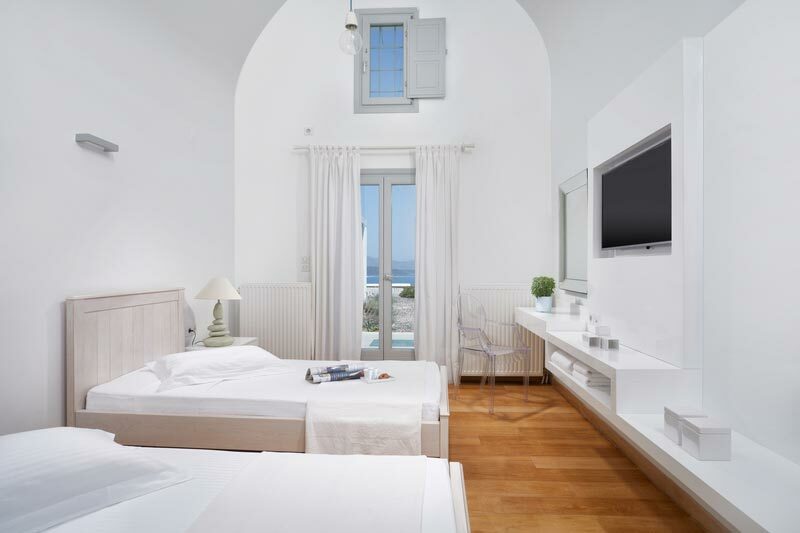 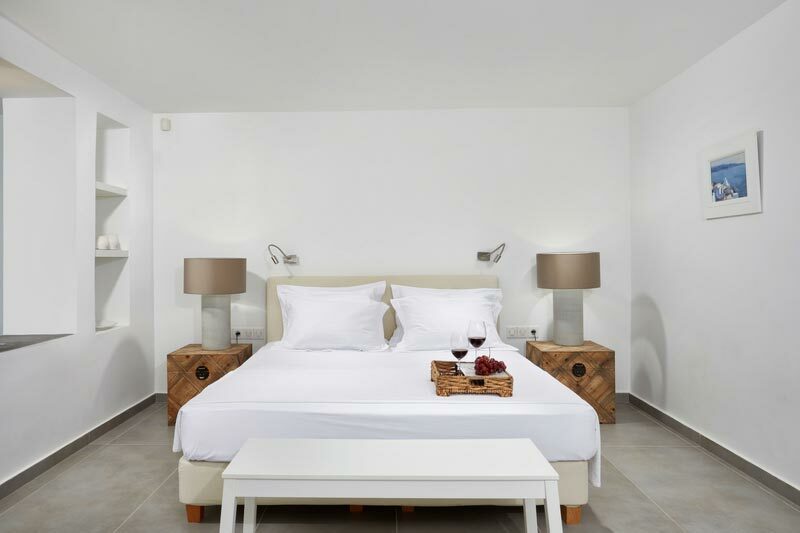 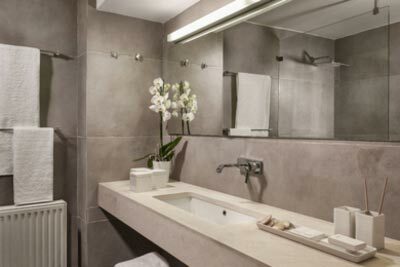 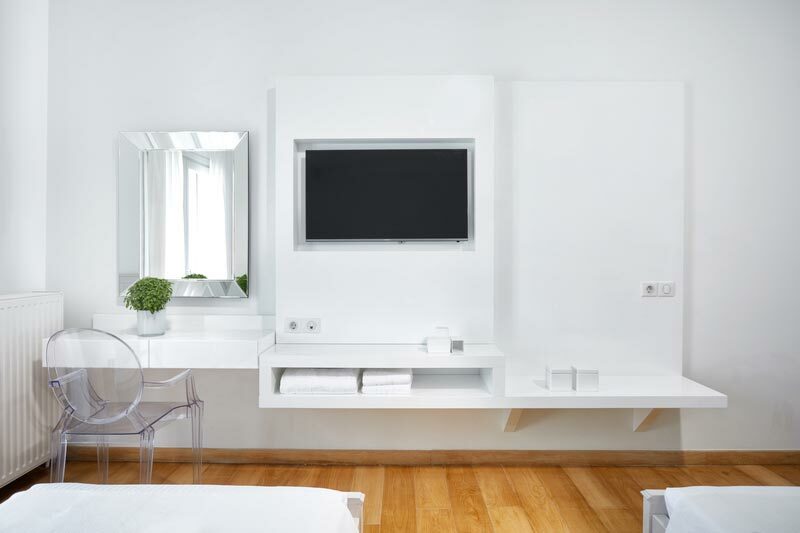 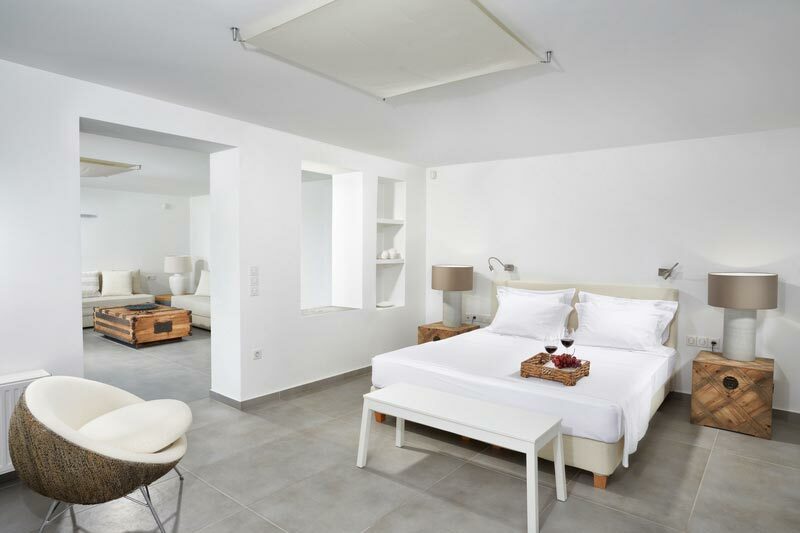 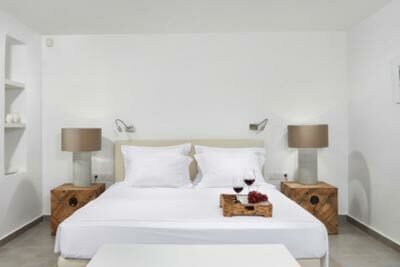 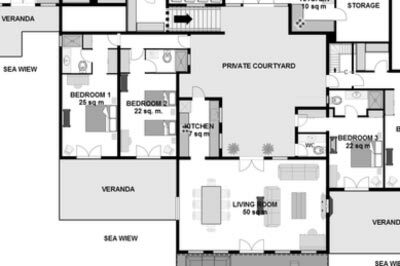 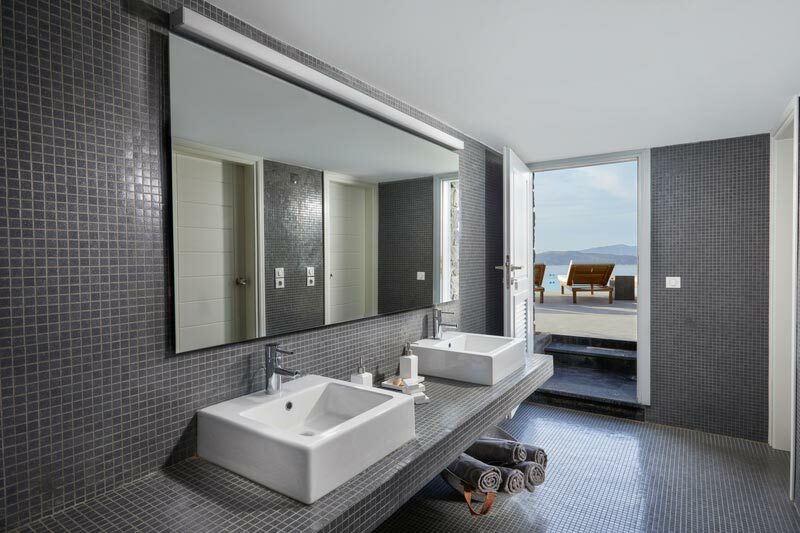 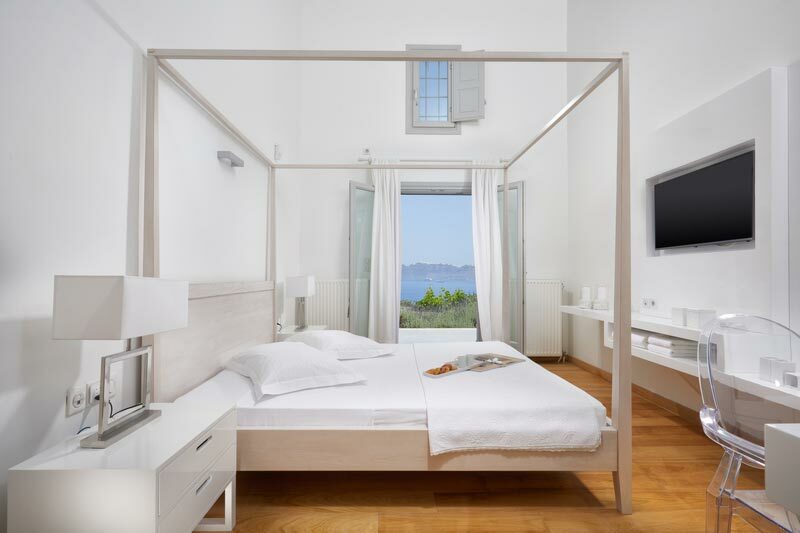 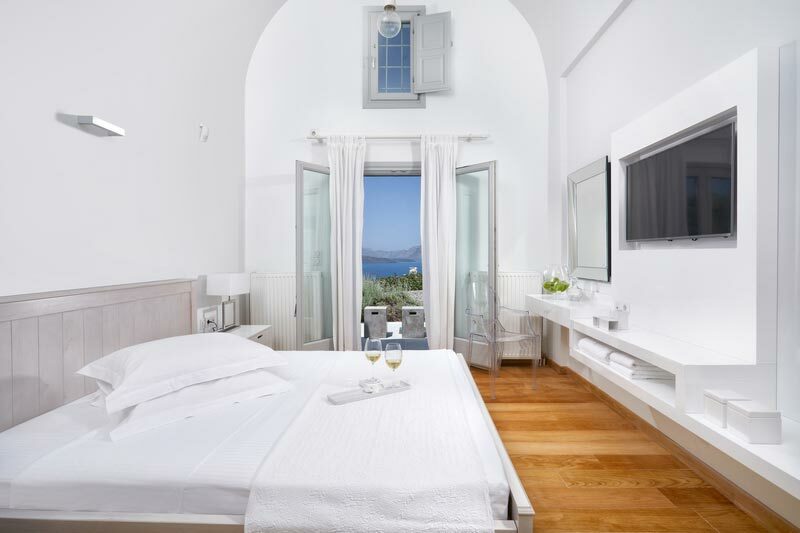 The interior area of Akrotiri consists of 5 bedrooms with ensuite bathrooms, two kitchen areas and a living room. 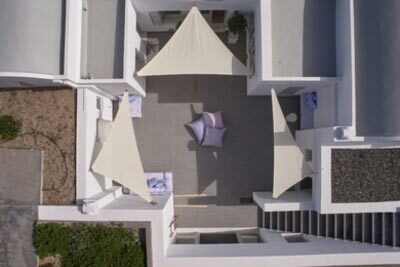 The 2000 sq.m. 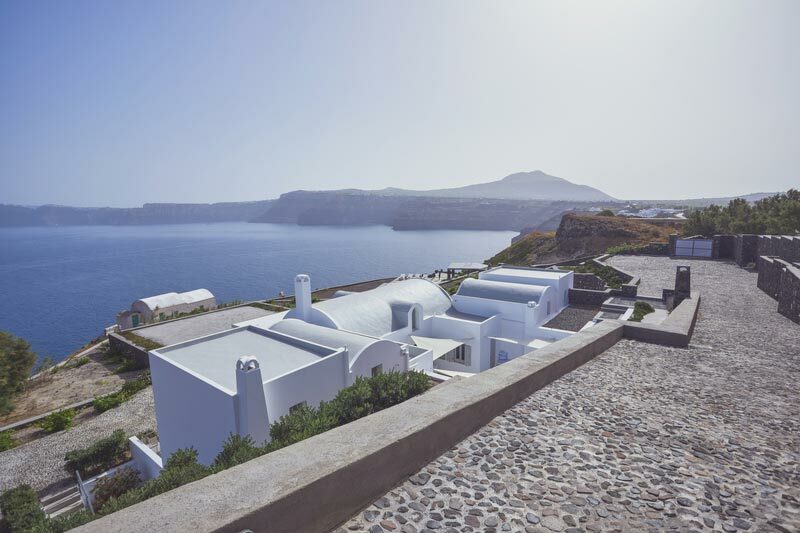 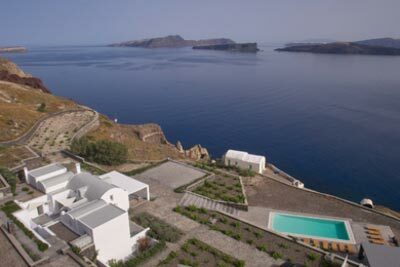 Akrotiri terrace amphitheatrically spreads out to offer stunning views of the caldera and the volcano. 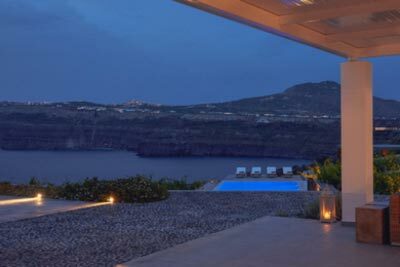 The experience from this terrace cannot be easily expressed with words. 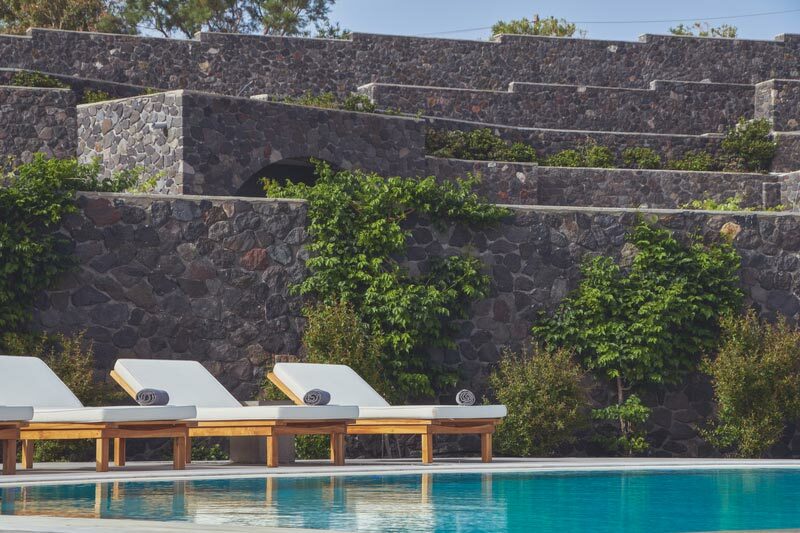 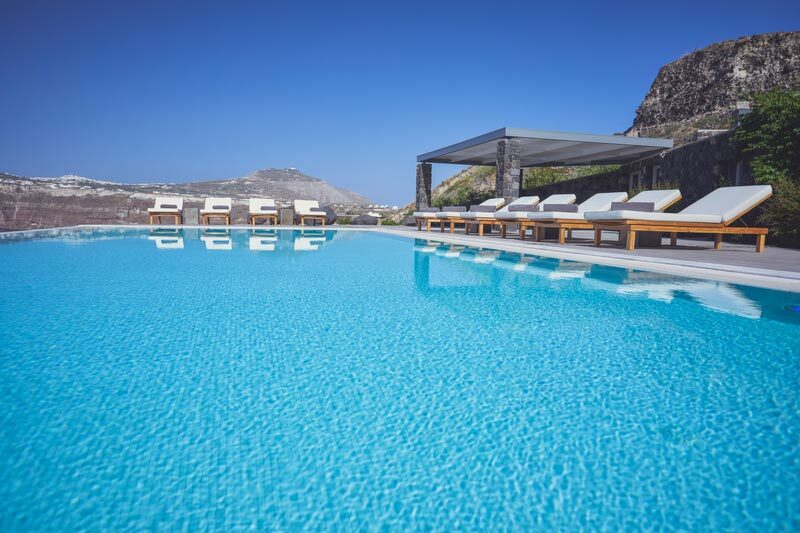 The pool is fully integrated into the natural landscape, creating the illusion that you are swimming into the blue waters of the Aegean Sea. 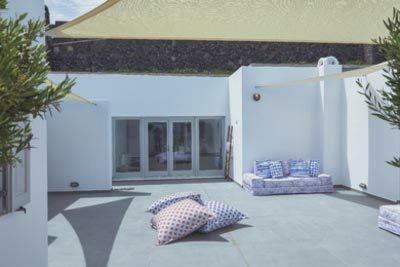 Sun loungers are available for sunbathing. 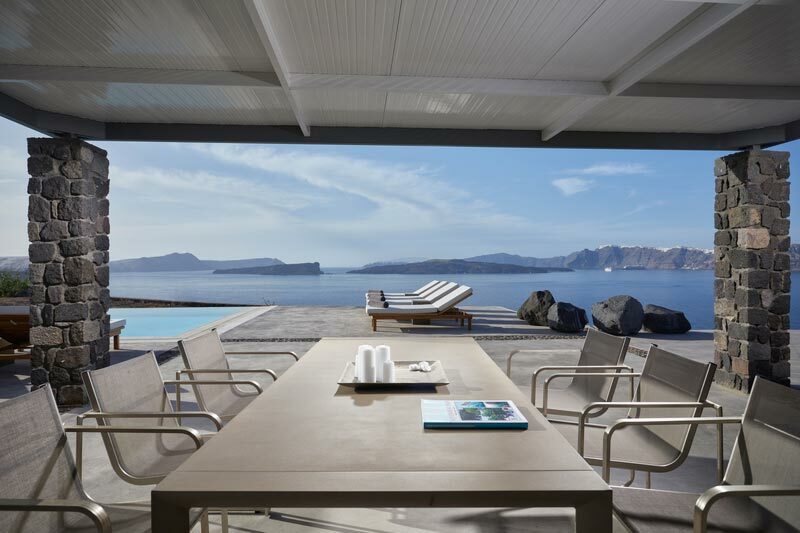 An outdoor dining table, is set against the blue waters of the pool and sea, and gives a special touch to your breakfast (a-la-carte), lunch or dinner time under the stars. 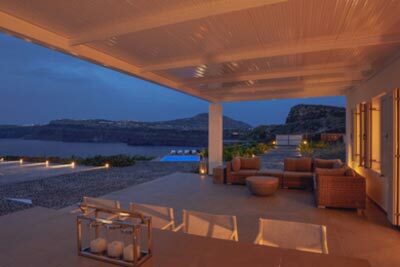 The people of Akrotiri Private Residence will welcome you and help you settle in.